Two buses crashed into each other on Otedola Bridge along the Lagos-Ibadan expressway on Friday, June 29, 2018, just as emergency responders were busy clearing the part of the bridge that witnessed the death of at least nine people when a fuel tanker exploded on Thursday. 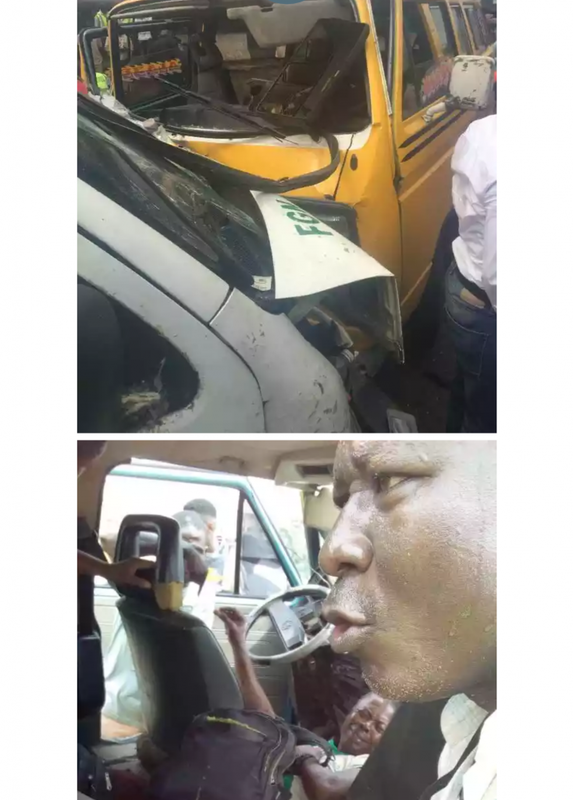 According to an eyewitness that spoke to Pulse, a commercial bus, popularly called danfo, illegally took the one way route, on the other side of the road from the explosion accident, and crashed into a white Toyota Hiace bus with Lagos number plate AAA-926XU. 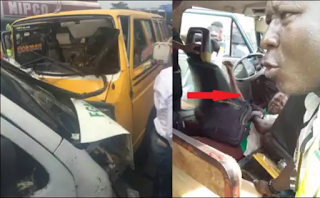 Many passengers were injured with one person struggling for breath before he was rushed to a hospital by officials of Lagos State Emergency Management Agency (LASEMA) who were already on the scene because of the previous day’s accident. Preliminary account from the scene of the accident indicate that the driver of the danfo bus was speeding because he was running from officials of the Lagos State Traffic Management Authority (LASTMA) after he violated a traffic law. According to the driver of the white bus, who identified himself as Ayinde, his bus was travelling interstate from Ondo State before the accident. He reported that the LASTMA officials that were chasing after the driver ran away immediately after the crash happened. When police officers got to the scene, the driver of the danfo bus was arrested with 200mg of tramadol found inside his bus.